The extra strength formula helps harden any soft fragile nails. The extra strength formula helps smooth the ridges on the nails. The formula contains Nylon, Retinol, Soy and Omega 3, which helps fortify nails for a hard healthy looking finish. 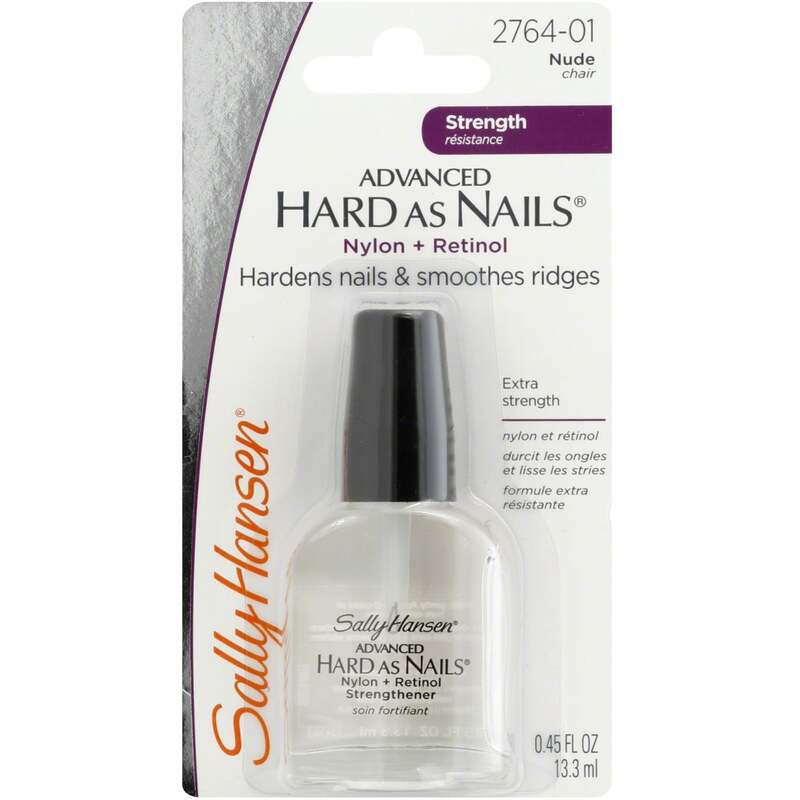 Hard As Nails helps protect against chipping, splitting, peeling. I have weaker nails and decided to buy this harder. It is a very good varnish, because mij nails haven't chipped since. I'm very pleased with it.